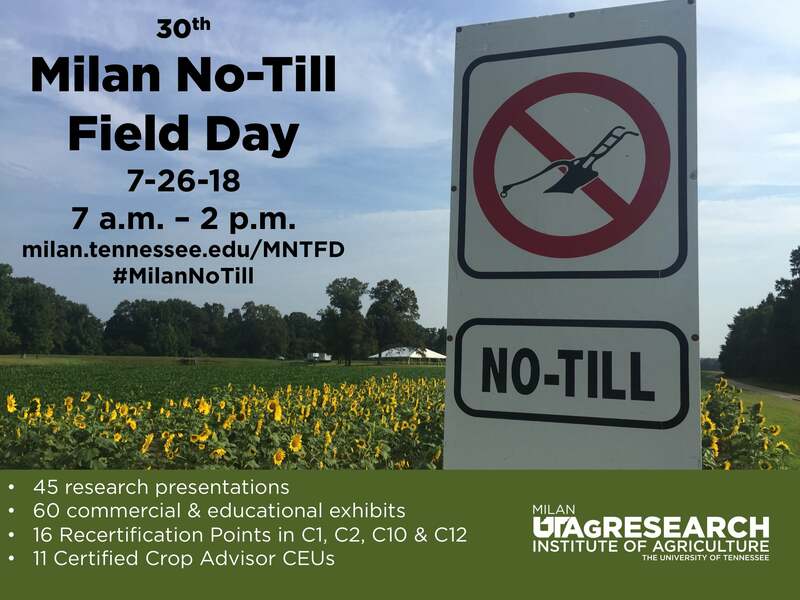 Visitors to the Milan No-Till Field Day can hear presentations on research involving corn, cotton and soybeans. Due to growing interest in cover crops, two tours (10 total presentations) will be devoted to that topic. New this year – a tour devoted to managing resistance, a tour on fragipans, and a producer-led panel discussing personal experiences with precision agriculture technology. A total of 45 presentations, plus crop variety demonstrations and an industry trade show are on the program. More information, including a list of tours/presentations can be found at http://milan.tennessee.edu/MNTFD/.